Forty employees were honored at a Jan. 31 ceremony for successfully completing the Certified Research Specialist (CRS) program in 2018. 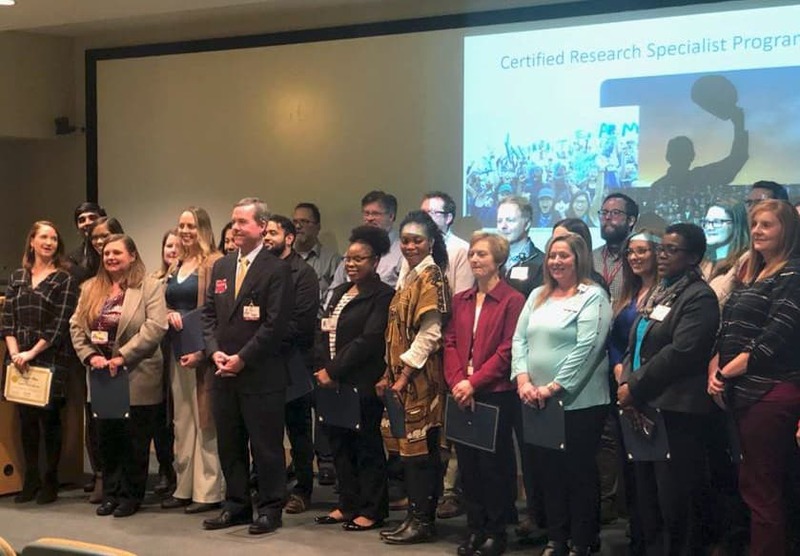 Feb. 11, 2019 | Forty employees received their certificates for successfully completing the Certified Research Specialist (CRS) program in 2018 during a Jan. 31 ceremony. Another 132 employees were re-certified in 2018. The Office of Research Compliance’s CRS Program provides essential training in key areas for individuals involved in human subjects research at UAMS. Those interested in learning more about UAMS’ research efforts can also take the training. Certified Research Specialists complete 28 hours of coursework and pass a comprehensive proficiency exam. 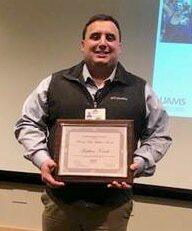 Matthew Kovak was the 2018 recipient of the Bonny Hope Award for Excellence in Human Subject Research. Each year, the Office of Research Compliance holds an awards ceremony to celebrate the efforts of program graduates, as well as those who recertified. This year’s keynote speaker was Lawrence Cornett, Ph.D., vice chancellor for research. Matthew Kovak was awarded the Bonny Hope Award for Excellence in Human Subject Research. The awardee is chosen by the members of the Certified Research Specialist Program and must be a colleague who works directly in human subject research and demonstrates the following characteristics: dedication to the subject, respect for the subject’s sacrifice, devotion to research integrity, commitment to mentoring and enthusiasm for learning.